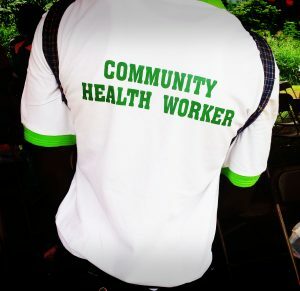 Following a national consensus to scale up the Community Health Workers (CHW) concept to all corners of Ghana, seven districts of the Ashanti region were selected to serve as a demonstration site for the programme, among them the district of Bosome Freho. Despite its limited resources and the associated challenges Bosome Freho has soared above the other Districts by rapidly scaling up Community-based Health Planning and Services (CHPS) zones. 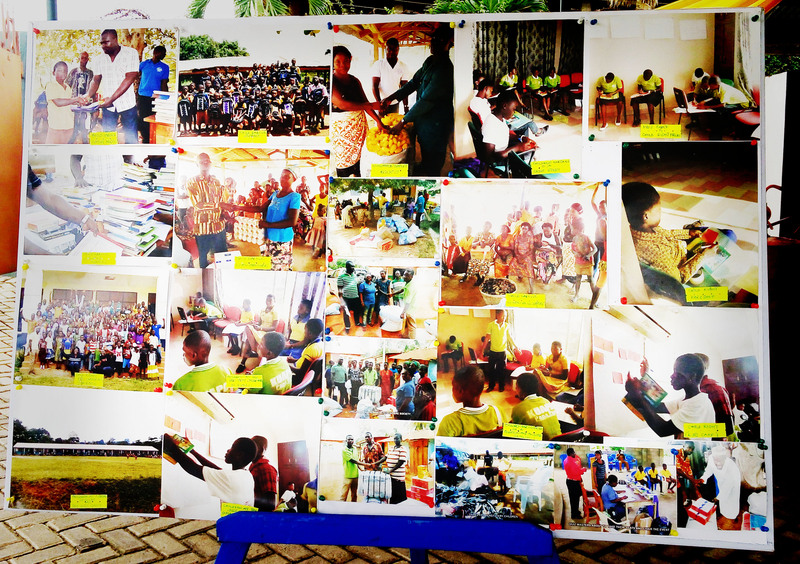 The secret ingredient to their success was effective community mobilization for resource generation. In honour of this leapfrog in CHPS Scale-up, the Ghana Health Service, non-governmental organizations (NGOs), community leaders and the 1mCHW Campaign celebrated their success at a traditional Ghanian durbar hosted by Bosome Freho. The Campaign’s Director Dr. Sonia Sachs and Professor Jeffrey Sachs joined in the celebrations. In his welcoming remarks the District Chief Executive (DCE) of Bosome Freho, Hon. Kwame Adankwa, noted that even in the absence of advanced health facilities, CHPS zones and CHWs could facilitate the expansion of health coverage for the district’s 20 000 inhabitants spread over 90 settlements. He also cited the lack of a district hospital, inadequate equipment and inadequate personnel as some of the challenges facing the district health system. Speaking at the durbar Mr. Clement Nti, District Health Director of Bosome Freho, expressed his pride for being a part of Bosome Freho’s health achievements and said he was grateful for the CHPS strategy and CHW concept in Ghana. CHPS, according to Mr. Nti, is the “golden initiative” that will accelerate Ghana towards achieving Universal Health Coverage, especially in deprived communities. Mr. Nti outlined some of the successes to date, including achieving full functionality of 13 CHPS zones and the completion of a community mapping exercise to determine the utility and network coverage of all the communities. Mr. Nti applauded community members and NGOs like Mama Ghana and ADDRO for their contribution towards CHPS scale up. Despite these successes, however, Mr. Nti echoed the District Chief Executives concerns about the challenges facing Boseme Freho. Inadequate personnel, equipment, and training resources, the lack of a district hospital, inaccessible road network, inadequate motorbikes and lack of ambulance for referrals are all limits on how health workers can provide quality and affordable health care. In his remarks Professor Sachs applauded Bosome Freho and the six other CHW demonstration districts for their immeasurable contribution to the CHW scale up. He also commended community members for raising private resources to improve health service delivery. He described the country’s national CHW scale up as unexpected, timely and critical for strengthening CHPS towards the achievement of universal health care for all – one of the SDGs. As part of the CHW concept requirements, the Campaign and other stakeholders will provide CHWs with smart phones, back packs and other logistics necessary for their advocacy responsibilities. Professor Sachs announced that telemedicine would soon be scaled up as well to strengthen referrals and improve the quality of health care delivery. Acknowledging some of the challenges still facing the district, Prof. Sachs announced that the Campaign and Millennium Promise team will support the government and other stakeholders in providing and improving facilities. At the durbar the Campaign presented certificates to health workers and community members in recognition of their immeasurable contribution towards the CHPS expansion in the seven CHW demonstration districts of Ashanti. The Campaign also donated blood pressure equipment and hemoglobin kits to CHPS zones as a means of further supporting their path towards universal health coverage.